Aquarium filtration is the single most important requirement for a successful fish tank. In this post we focus on the 3 basic types of aquarium filtration, and of course each aquarium filter itself. Biological filtration is the term used to describe beneficial bacteria, which are established during the initial cycling of the aquarium. These bacteria break down ammonia and nitrite and convert them into the less toxic compound nitrate. It is widely acknowledged throughout the aquatic community that these bacteria require a surface to attach to as well as oxygen rich water. 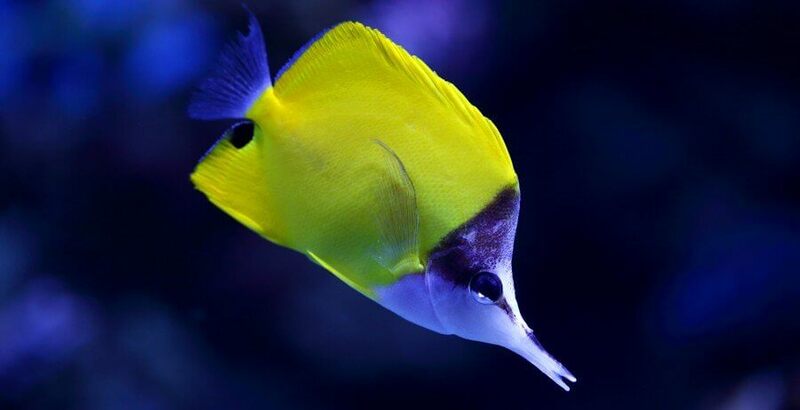 Biological filtration is essential and needs to be adequately established in every aquarium. On this note it is recommended to medicate fish in a separate tank (hospital tank) when using antibiotics (anti bacteria), as extensive use of these medications will kill the bacteria. Live rock and sand are by all means biological filtration as well. In theory you could maintain an aquarium with these alone, however the tanks fish population would be restricted to small numbers. Saltwater tanks can be successfully maintained using only a protein skimmer and biological filtration. Chemical filtration removes dissolved wastes. The most common type of chemical filtration is activated carbon. Mechanical aquarium filtration removes solid particles from the water via the aquarium filter. It does not remove or convert ammonia, nitrite or nitrate. This filter type actually provides a means to remove free-floating waste before it decays. Mechanical filtration will only be beneficial if the filter material is replaced every 2-4 weeks because the waste will still decay while trapped in the filter material. To save money on replacements, you can also rinse the filters in use or use an alternative filter such as filter floss, which costs only a fraction of replacement cartridges. Common types of filter media are paper cartridges, sponges, and floss. Mechanical filtration will be ineffective on matter that settled in the gravel. Use a siphon to remove these particles. Kill two birds with one stone (bad remark for an animal related web-site, but you get the picture) – siphon during water changes! Be aware, that beneficial bacteria might settle on the filter media. Take this under consideration, and replace part of the media at a time if it’s possible. Sponges will clog quickly and paper even faster. Filter floss is very efficient due to small and large openings, which will not clog as easily. Basically an enhanced corner filter (see below). A closed canister where water is forced through filtration media (mechanical and/or chemical). This filter is genrally placed beside or underneath the aquarium. The canister filter has the most powerful mechanical filtration system, and can be used with messy eaters. The down side is that it requires frequent cleaning. Bacteria will also settle in this filter type. Biological filtration can be improved, by placing wet dry wheels at the outflow of the canister filter. This is how it started. Placed inside the aquarium water is forced through it. On the inside you would find filter floss or other media. It is mainly a physical/mechanical filter. Beneficial bacteria settled on the medium and provided biological filtration. This very inexpensive filter is an excellent way to set up a hospital tank. Buy one for pennies on the dollar and use some gravel from your established tank. You will immediately have a working biological and mechanical filter for your hospital tank. This filter is a recent development, using sand as a bacteria settlement media. In a tubular design, sand is fully submerged in water. The water is pumped upwards through the sand, allowing bacteria to settle within. Additional tubes can be used as pre-filters (mechanical) and also for chemical filters. This filter provides a large surface for bacteria colonies, but sometimes lacks in providing enough oxygen for optimum performance. The very easy to maintain power filter hangs on the back of the aquarium (easy access). Water is pulled through a mechanical filtration, using floss and insert cartridges. They also provide enough space for chemical filtration media. Within the last few years a wet dry wheel (biowheel) was developed, to provide an even larger area for bacteria to settle. The protein skimmer is a chemical filtration method. It takes out dissolved biological waste before it can decompose. This is achieved by a tubular design with air bubbles inside. The waste is attracted to the surface of air bubbles, which then rises to the water surface. There, a skimmer removes the biological waste. This filtration type has revolutionized reef tanks. It only works with high pH and salinity which make it a saltwater only filter. A sponge filter looks like a tube with a sponge like material inside. As water flows through, bacteria will colonize the porous foam and establish a biological filtration. These sponges also serve as a mechanical filter, removing larger particles from the water. The advanced versions use two sponges, making it easier to preserve bacteria colonies by replacing the sponges at different times. Using a sponge from an established aquarium can also jump-start a new tank or quarantine/hospital tank. The undergravel filter (UGF) is basically a perforated plate below the gravel. Water is pumped upward through the gravel by air bubbles, water stream, or a combination of both. This slow flow of water and oxygen allows the bacteria to colonize the gravel. The UGF is an aid for biological filtration. It does not remove larger waste particles. It has to be well maintained, especially through vacuuming of the gravel. UGF’s are inexpensive, but have a tendency to clog up. It is recommended to replace this filter as they age. Of course, they can be combined with a power head as a pre-filter for larger particles. Also known as trickle filter. This kind of filter was designed with consideration of the oxygen demand of the beneficial bacteria. It consists of a plastic tube with unsubmerged media (floss, bioballs etc.) over which water trickles down – hence “Trickle Filter”. The wet dry filter provides a large air to water surface. The larger the surface structure of the media gets the better it works. This filter provides no mechanical filtration and works on the principle of the wet dry wheels. Understanding the basics of filtration – biological, mechanical, and chemical, will enable you to create the best combination for your aquarium. A filter basically cleans the water debris, removes the toxic buildup of ammonia and nitrates, and aerates the water so your fish can breathe. Which, unless you want an aquarium full of dead fish (or one filled with plastic fish), is a very good thing, indeed. Can I use carbon alone, or do I need a mechanical filter as well? You need both. Carbon is for chemical filtration, hence removes chemical impurities. Mechanical filtration removes waste particles from the tank. While mechanical filtration is always a requirement, carbon can be used as needed. Usually a slight yellow tint to the water is an indicator that carbon is required for purification.